According to Dr. Nassim Haramein's model in theoretical physics, gravity is the creative force which forms matter at a fundamental level. This means that in order for any matter to exist, this constant flow of spacetime into the nucleic center of everything from the atom must be constant. In other words, the atom has its foundational components of the proton/nucleus and the electron cloud, but requiring the continuous flow of spacetime/gravity in order to exist, and all matter at every scale functions in this same way. Wilcock adds a few concepts to this idea. These came from a groundbreaking paper written by Dr. Oliver Crane titled, “Central Oscillator and Space-Quanta-Medium.” In this paper, Dr. Crane states that the manifestation of photons is the direct result of the flow of gravity into an object's center of mass. If this is true, it means that the pyramid is not only a gravity/spacetime collector, but a photon collector and emitter as well. It may even be that these photons are the origin of the ideas of the fire in the middle and the house of energy. We may also remember the concept of gravity as three-dimensional in that it flows into all spherical objects equally from all sides. This renders Einstein’s model of relativity with a problem. 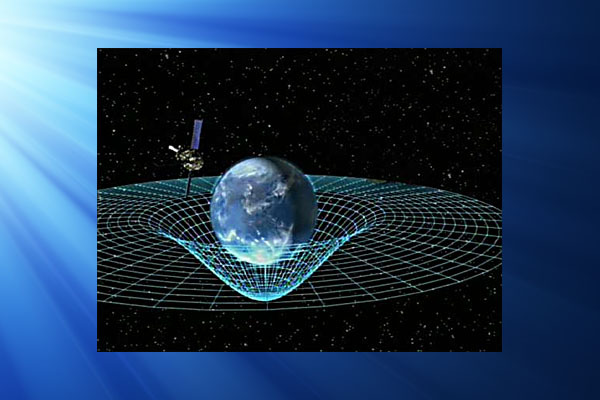 The Einsteinian model of gravity has been shown to be somewhat incomplete since its introduction. This inaccurate representation of gravity was a subject I wrote about from the previous episode of Wisdom Teachings titled, “Pyramid Power - Fire in the Middle.” There was one subject from this episode that I elaborated upon which was relative to Einstein’s theories on gravity. Below is an excerpt from that article. Dr. Nassim Haramein is a well-accomplished physicist who has rewritten many of the fundamental ideas which most scientists formerly took for granted. Nassim had a difficult time in early school, as the lessons within science didn't quite make sense to him. There were areas of consideration which the classes did not cover. This is a relatively simple concept to understand. As with any planetary body, the same general gravitic pull will be experienced by a nearby object irrespective to that object's angle of approach. As every planetary body is generally spherical, it will absorb gravity/spacetime equally from all sides. Relativistically speaking, we could say that the presence of the planet, the atom, or an object of any size is curving the spacetime around it and absorbing it at the same time. This cannot be done with a planar model of spacetime. This is why Einstein’s model does not work in 3-dimensional space. Mainstream science has given little if any thought to this vacuum energy and has largely considered it worthless for the good part of a century. Yet in the pursuit of developing a conventional unified field theory, mainstream science has fallen short. Instead of accomplishing their goal of developing their theory of everything, scientists seem to have developed calculations which may have been too excessively complex to be productive. These conventional calculations have failed to yield any true unity between the macrocosmic and the microcosmic universe. As Dr. Haramein sees it, whenever such excessive complexity in calculation is reached without any significant progress, it usually means that somewhere along the way, the process took a wrong turn. To put it in other terms, whether assembling a jigsaw puzzle or a unified theory of everything, the process should become simpler as you approach the true solution. If the process becomes more and more complex, there is a good chance that you made a few initial mistakes that need correcting. Conventional science would continually build their foundational understanding upon a combination of both proven fact and unproven theory, and somewhere along the way, it seemed that many of them began to forget which was which. They simply left this combination of guesses and facts unresolved—many times without realizing it. (This often resulted in the non-scientific audience buying into the entire conventional explanation of the universe without knowing its numerous flaws.) This is the issue which Dr. Haramein has been intent upon solving. He started with Einstein’s theory of electromagnetics which suggested the significance of vacuum energy. How much energy might we find in this vacuum? It's been calculated to be 10 to the 93 grams per centimeters cubed. That's a “10” with 92 zero's behind it. (This was found to be the case via the Casimir experiments.) This is an extremely enormous number, yet it is a conservative way of presenting a number which is believed by some scientists to approach infinity. To describe the magnitude of the energy density of the vacuum, Dr. Haramein gives the explanation that if we were to collect all of the stars in the universe and combine them into one cubic centimeter of space, we would only get an energy density of 10 to the 55 grams per centimeters cubed. This is only about half of the energy that is found within the vacuum. Even with all of the stars in the universe, we cannot come up with the magnitude of energy found within the vacuum. This is how significant and powerful zero point energy is. Dr. Haramein explains that this universe is so energetically and informationally dense that no matter at what scale we view it, we will always find the same structure of organization (to restate). Since there is more energy in the vacuum than there is in the physical tangible universe, this gives us a very significant source of energy. He goes on to explain that the vacuum itself has more than enough potential to create everything that we see in the physical universe, and states that the material world is just a microscopic fraction of the entirety of reality. While conventional science has struggled to make sense of the universe, Dr. Haramein among many has made many breakthroughs. It was actually he who developed the theory of fluid spacetime in his award-winning paper, “The Schwarzschild Proton.” This paper was focused upon answering the questions which conventional physics has ignored. This theory of the fluid universe and the Swarschild proton could be consider an accurate unified field theory. This theory unites the microcosmic with the macrocosmic universe. In fact, there is virtually endless potential that lies within the understanding of the energetic foundation of the universe. We will have clean energy. We could have star drives, anti-gravity propulsion, and untold potential in material sciences. The possibilities may be just as immense as the vacuum energy itself. There are quite a few pieces to this puzzle, as you may have imagined. However, once the complete picture forms, these pieces will fit together nicely. 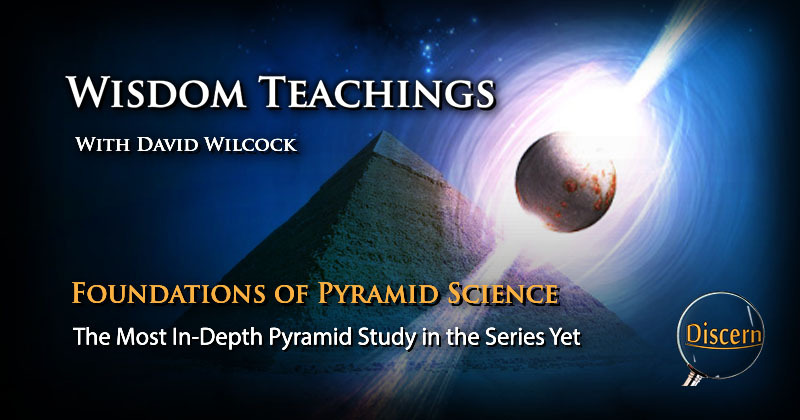 The concept of gravity was also discussed in the previous article on pyramid science. However, there was one principle which was not covered completely. 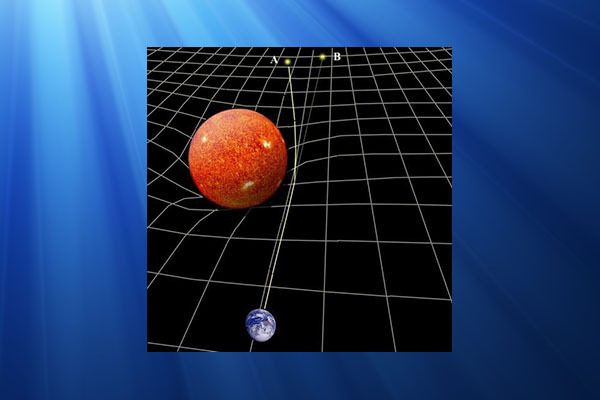 We have mentioned the principle of gravity being the inflow of spacetime into the nucleus of the atom, the black hole within the star or at the center of a planet. David Wilcock actually likens this flow to the meteorological flow of high pressure systems into low pressure systems. This would be similar to the idea of the high pressure system on the outside of the atom flowing into the low pressure system inside the nucleus. As mentioned, the example of the planet, the star, and the atom all function in this same way. In conventional physics, it is believed that there is a weak force (or electromagnetism) which holds the electrons to the nucleus and causes them to orbit. The new model negates any need for the strong and weak forces. All that is needed is gravity to explain the orbit of the electron around the nucleus. As the theory dictates, the energetic flow of gravity into the nucleus causes the orbit of the electron, and as charge flows from negative to positive (or inward toward the nucleus), the flow of gravity is complimented by the flow of electric charge. This parallel flow of gravity and electricity hold some very powerful implications. 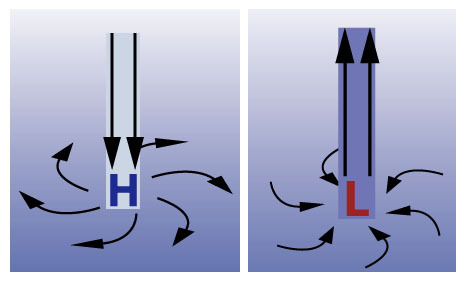 David Wilcock makes mention of the fact that the Biefeld–Brown effect proves that electrical flow creates gravitic thrust. This may be proof that the fluid model of spacetime is factual. For the details of this effect, here is an excerpt from an article by the InstituteofTesla.com. This Biefeld–Brown effect was initially investigated by Thomas Townsend Brown (USA) and Dr. Paul Alfred Biefeld (Germany) in the 1920s. Research continued through the 1950s and 1960s by Brown and other researchers. 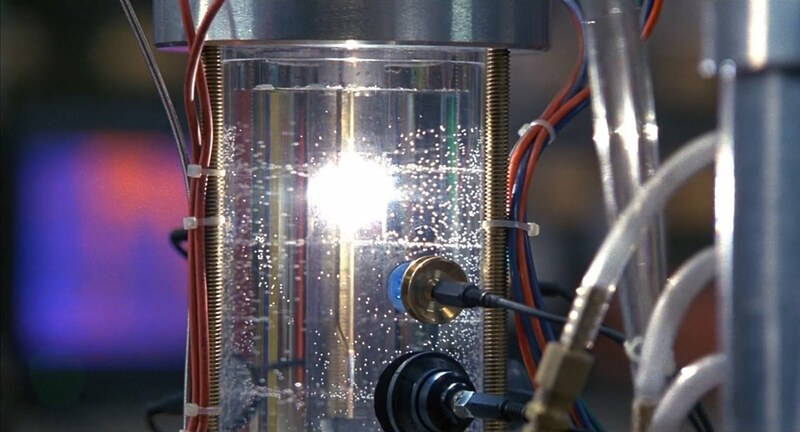 The use of this electrogravitic propulsion effect was further explored during the publicized era of gravity control propulsion research, which included the United States gravity control propulsion initiative. Research, based upon Thomas Townsend Brown's hypotheses, includes the idea that electrogravitics could be used as a means of propulsion for aircraft and spacecraft. Electrogravitic processes use an electric field to charge or, more properly, polarize an object with a specially-constructed shape. Brown's disks, for example, used an "asymmetrical" capacitor, sketches of which can be found in the literature pertaining to the Biefeld–Brown effect. 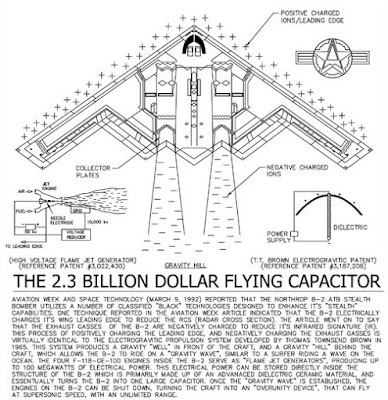 An ionocraft or ion-propelled aircraft, commonly known as a lifter or hexalifter, is an electrohydrodynamic (EHD) device (utilizing an electrical phenomenon known as the Biefeld–Brown effect) to produce thrust in the air, without requiring any combustion or moving parts. The term "Ionocraft" dates back to the 1960s, an era in which EHD experiments were at their peak. This was a fairly concise description. However, the average description of this Biefeld-Brown effect tend to miss the main point to be made. This is that this effect caused by the flow of electricity from negative to positive is a gravitic push. When enough electrons are flowing in any given direction, they affect the flow of gravity along their path. Just as in the atom, gravity follows charge, so too in any high-energy electrical flow, gravity is influenced. David Wilcock gives the example of a saucer craft using electric charge to lift itself against the flow of gravity. As he describes, the bottom of the craft is lined with a negatively charged metallic plate (as gravity flows from negative to positive), while the top of the craft has a area which has a positive charge. As the charges of these two nodes are increased, they create an ionic flow of electrons which eventually builds enough gravitic thrust to overcome the Earth's gravity. It is understandable why so many conventional scientists have preemptively dismissed the Biefeld–Brown effect as a fluke. It is common for mainstream scientists to overlook a good portion of supporting evidence especially when that evidence defies convention. The theory of fluid spacetime does require a bit of relearning in the various fields of scientific study. However, considering how many credible whistleblower we have heard come forward from various secret space programs, this principle of the Biefeld–Brown effect is not simply theory. It is a regular form of transportation. Whenever there is a flow from a high-energy system to a lower-energy system, photons are released. This cannot be avoided. To demonstrate, David Wilcock gave the example of a thunderstorm. As we may know, thunderstorms occur as a result of the combination of high pressure and low pressure systems converging. From this flow from high to low pressure comes the result of friction and static charge, which in turn, results in lightning. 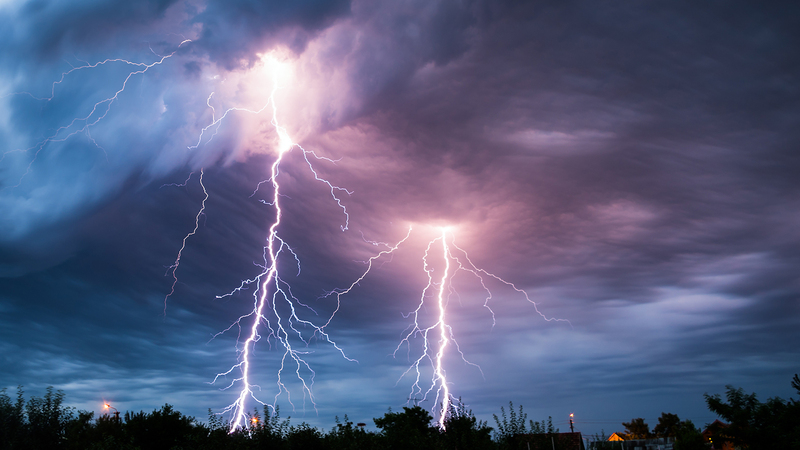 Lightning is the electrical discharge from negative to positive which gives off photons. This is a classic example of the connection between these forces of pressure, gravity, electricity, and photonic discharge. So photons are the result of these energetic flows. However, the appearance of these photons often seems spontaneous, as though they are appearing out of nowhere. According to the latest theory, these photons originate from a higher dimensional plane. As energy transfers for higher states to low states, these photons emerge as a byproduct. This is why electro-plasmic discharge is luminous. Dr. Nassim Haramein gives the explanation of the in the Swarschild Proton theory that a star is actually a black hole surrounded by a spherical white hole. 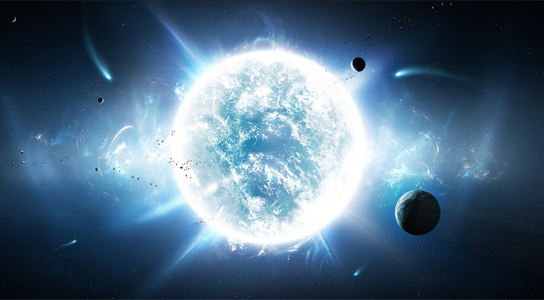 This theory is an elaboration of the electro-plasmic theory of stellar-dynamics. 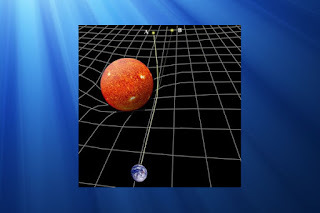 As it states, the movement of spacetime/gravity into the center of the atom or the black hole within the star causes photons to step down from higher energetic dimensions. These photons then race away at the speed of light in all directions. This is why stars are luminous, according to the new theory and to whistleblower testimony on advanced scientific research. One of the most significant points made during this episode may have been the concept of these virtual photons appearing out of nowhere. Even in a completely darken in a sealed room, photons seem to simply show up without any conventional explanation. Upon observation, it was clear to scientists that these photons were not coming out of “nowhere”. So they theorized that they must be coming from an alternate dimension of existence. 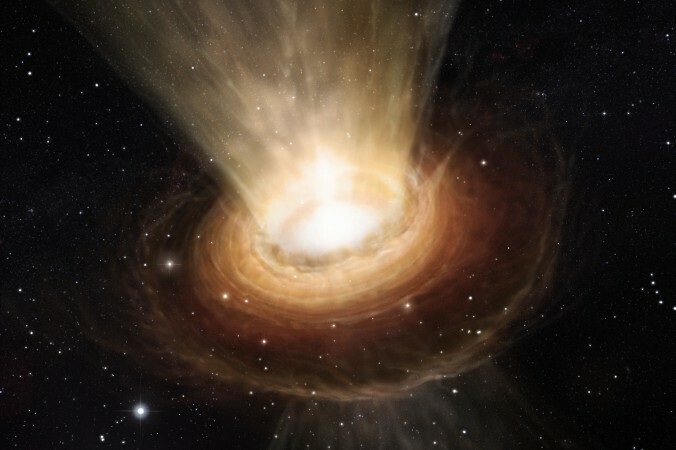 The Law of One would call this the concept of densities, but as the theory states, as spacetime flows into the black hole, it emerges along with a tremendous photonic discharge. This is thought to be why the force of the flow of spacetime into the black hole is lesser than the force coming out of it. The photons may represent some type of spacetime conversion into photons. There are a number of amazing principles within alternative science. However, there are few of these that can be more amazing than that of sonoluminescence. This is a phenomenon which occurs when extreme amounts of light and heat are created with nothing more than sound, water, and a bubble of air. It is this phenomenon which supports the principle of virtual photons. Upon learning that bright light and extreme heat can be produced with nothing more than a vibrating bubble of air, many people might be skeptical. However, the principle of sonoluminescence is a well documented, scientifically verified fact. This process is achieved by filling a spherical container with water. Then, using precisely space sonic transducers (or speakers), a bubble of air or gas is injected into the center of the water container. This bubble is actually suspended and held in place by sonic pressure similar to the way a droplet of water is suspended in the process of acoustic levitation. As the sound frequency is focused toward this bubble, something amazing happens. 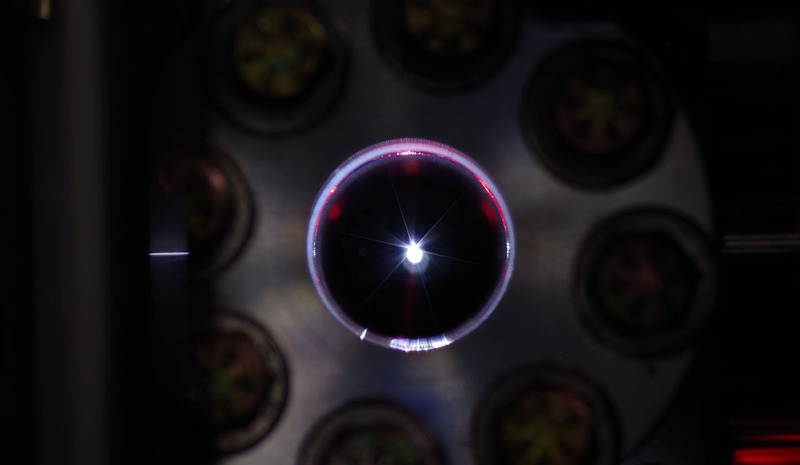 The bubble begins to give off light—actually glowing in a dark room—and that's not all. This bubble gives off so much light and heat that it is difficult to tell just how hot the center is. This extreme amount of heat coming from this bubble is far, far more energy than that which it takes to create the sound frequencies from the transducers/speakers. This means that the energy needed to create the heat is much less than the heat itself. This is over-unity (free energy) to the extreme. For another explanation of this phenomenon, here is a clip from a documentary from the BBC Horizons. This video is helpful in our understanding of the phenomenon. However, the attempt to apply the concept of fusion to this scientific mystery may not be appropriate. The commonly accepted model of astrophysics states that fusion is the basis for astral function. 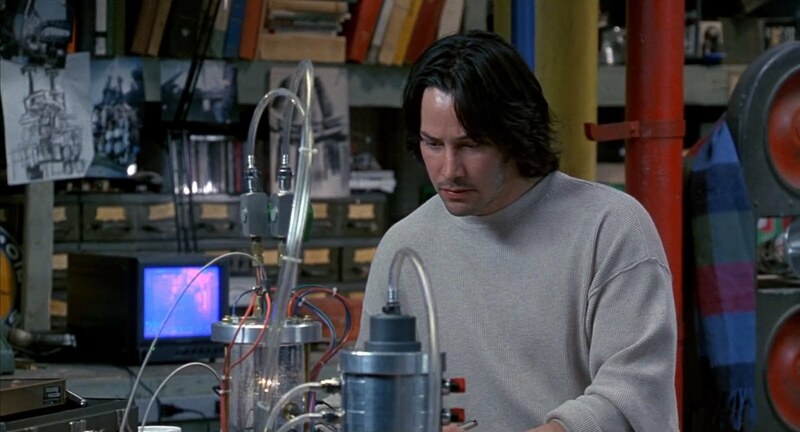 However, this was only a theory developed to explain one possibility at a time, and has never been proven to be true. At the time of the theory's development, there were no better ones to consider. Consequently, the theory has been accepted and built upon as though it were factual. Though many people believe the fusion theory to be factual, they only demonstrate the common inability to distinguish fact from guess. The above video is very descriptive of this extremely significant concept. This star in a jar is a mystery in mainstream scientific circles. However, according to the newer unified field theory of Dr. Haramein, this luminescence is revealed as simply the result of the continuous pressurization and release of the gasses within the bubble. 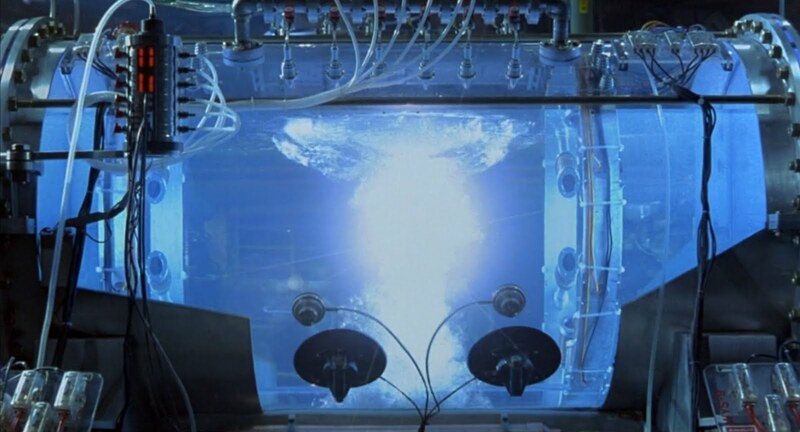 As these gasses are pressurized, they build up increasing amounts of energy and eventually explode outward, causing photons to be released in the form of light and heat. As this happens the bubble grows back to its original size. The process is repetitive. The sound frequency causes the rapid compression of the bubble. As the gasses are compressed and the bubble collapses, the gasses ignite and explode outward. This process is very similar to that which we find in a diesel engine. The only difference is that there is no fuel to burn inside the bubble. As the video describes, the heat that comes out of this bubble is so extreme that it is thought to be capable of catalyzing nuclear fusion. This fact cannot be overstated. This bubble has far more energy coming out of it than the sound energy it takes to continue the process. This could be said to be the crown jewel of free energy that mainstream science (and as well as a hoard of pseudo-skeptics) claims to be impossible. As David Wilcock described this concept, I couldn't help but be reminded of one particular film which was released in 1996 titled “Chain Reaction” (directed by Andrew Davis). 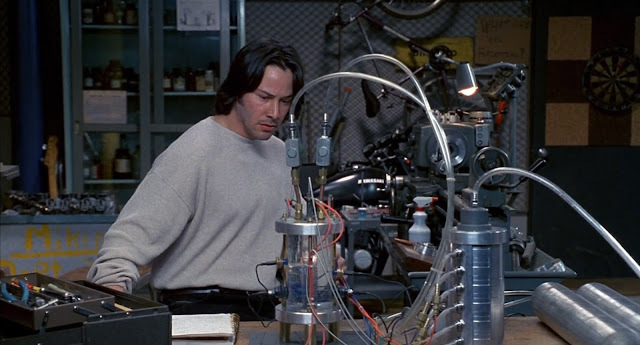 In this movie, Eddie Kasalivich (played by Keanu Reaves) is a student machinist who designs and builds lab equipment for a research laboratory. This lab is intent upon developing fossil fuel alternatives and finds one particular process to be promising. 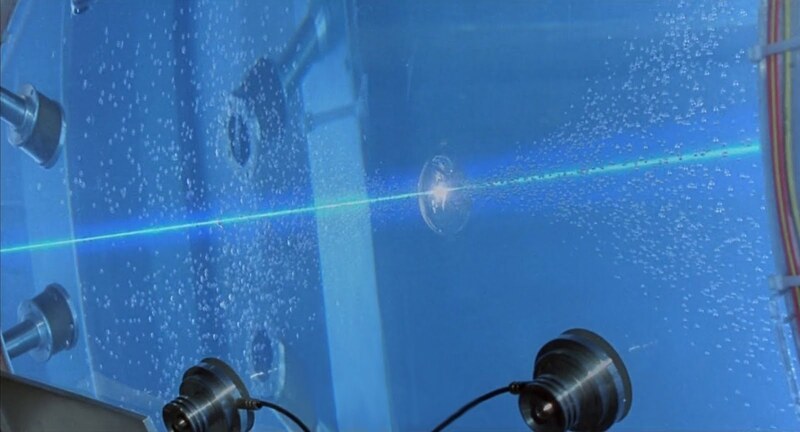 This process involved the suspension of a bubble of air inside a tank of water which was then somehow ignited with a laser. This process was depicted as electrolysis, though I don't know if this is an actual means for electrolysis in the real world. The hydrogen produced from this process was then burned. As the movie progressed, the science team found that the original process of electrolysis did not work. It was only when Eddie found one particular sound frequency by accident, and then transmitted the frequency into the tank that light began to come from the tank with no other energy applied to the bubble at all. 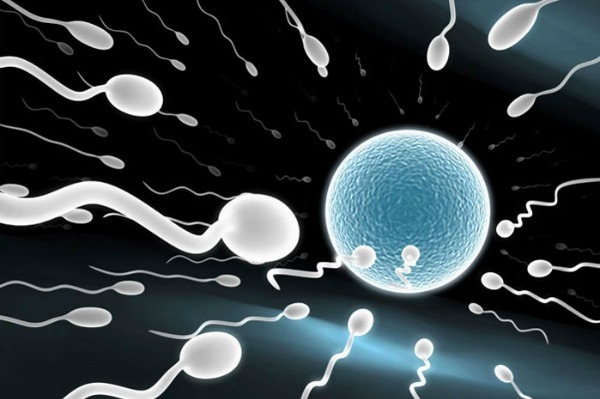 After this point, the process was perfected and the team of scientists celebrated. It seems quite possible that this movie was meant to be some type of soft disclosure of the reality of sonoluminescence long before this discovery was realized by many. This film even included the political and proprietary battle that it typically takes to successfully release fossil fuel alternatives. We have this principle of sonoluminescence as a remarkable and unexpected principle within modern science. Upon learning this, one common question is, “Can this principle explain stellar dynamics?” Let's examine. When we look at a star through a telescopic array, we see the spherical luminescent star that we are used to. It doesn't flicker like the star in the jar. So what's happening? We have discussed how stars are basically like enormous atoms composed of a spherical white hole which surrounds a black hole at the very center. 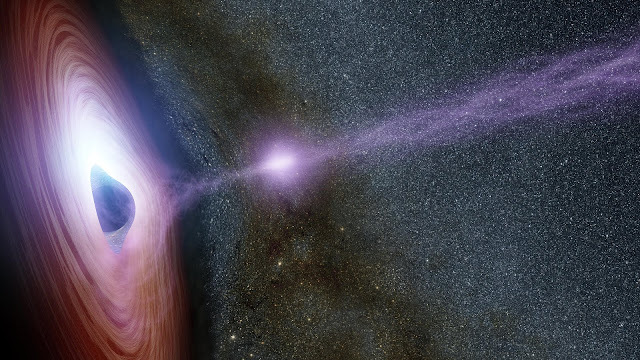 This white hole is created as the energy of spacetime/gravity flows into the central black hole. It is believed by many scientists that when spacetime flows into the singularity, a portion of it is converted into photons. These photons emerge from the white hole in the spherical halo that we see. According to calculations, this is exactly what the atom is doing on a quantum level. In this way, the star and the atom are one and the same. Just like the star in a jar, the actual star and the atom have the characteristic of the diesel engine (minus the petroleum). At some level, there is an explosion happening at speeds so tremendous that they are unable to be detected. It is also possible in the situation of a star that there are billions upon billions of these expansion-contraction cycles taking place simultaneously so that the result is one continuous luminous sphere. On the atomic level, on the other hand, may still have a visible flicker to it. We may consider the principle that this dynamic of atoms, stars, and everything else within the universe creates light in some way. This include planets as well. However, this raises the question, “Why aren't planets luminous?” This was one of my own considerations, and I think I may have figured out the answer. We have learned that planets are extremely hot on the inside. The core of Earth itself is though to be upwards of 6,000 C (about 10,800 F). 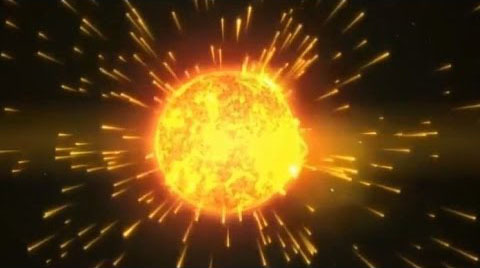 This is not as hot as the core of our sun is thought to be. However, it does raise the possibility that the same process which is occurring at the quantum and the astral levels is occurring on the planetary level as well. David Wilcock makes reference to the concept of bions, or the luminescent, micro-cellular phenomenon that seem to appear in steralized, hermetically sealed containers in which no life should exist. These luminescent spheres are blue in color and as they form, they seem to create matter and even living organisms as they do. These bions were the focus of study of Dr. Wilhelm Reich, and have caused so much controversy among conventional scientists that the idea was shunned and treated as taboo ever since. However, just because conventional science has blindly dismissed these ideas does not mean that we have to. The concept of the emergence of bions in inert material may give us a clue to the possibility that photons emerge from the white hole to form matter. If this is true, this would explain the planetary phenomenon of the black hole surrounded by the white hole with a non-luminous planetary surface. 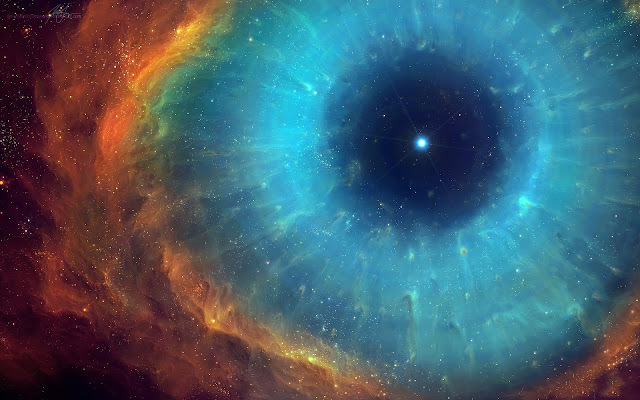 As the photons exit the white hole, they may step down in energy far enough that they create water, rock, metals, crystals, minerals, and other physical matter which we as humans can interact with. If this is the case, this may support the theory that the Earth is growing and expanding as the white hole within creates new matter from the inside outward. The gas giant planets we see may form in the same way. These gas giants have been found to have rocky cores which may mean that they started out as rocky planets, and grew into these giants. 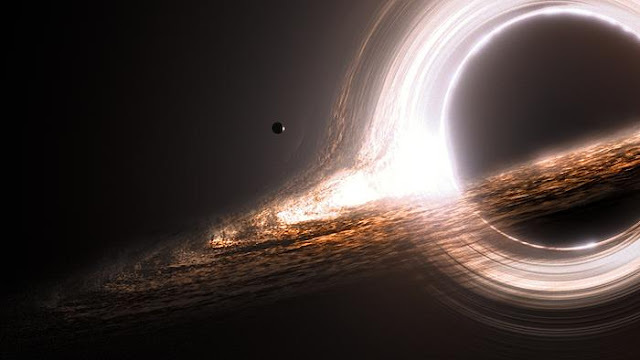 The black hole-white hole combination would begin by creating solids and liquids. Then as they evolve, they create gasses—layering these gasses thicker and thicker, beginning with those greater in density and following with those of lower density. This evolution may even further progress as the core of the planet begins to produce excited plasma, at which point these giants might even become stars. If this planetary process of evolution is the case, this would mean that every planet will eventually become a star. We may think about a planet such as Venus, which is said by the Law of One to be formerly inhabitable, but is now too hot for surface life to exist. It may be that eons ago, all of the planets in our solar system were rocky planets. 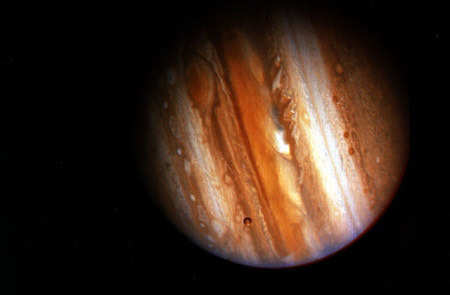 The gas giants may have even looked like Earth or Venus at one point, and may have since evolved into the planet we presently see through our backyard telescopes. If this is the case, it would explain quite a bit about the way in which planets in our universe evolve. The topics within this discussion are so immense in scope that it can be difficult to address every last one. However, there are a number of major topics which we may consider. 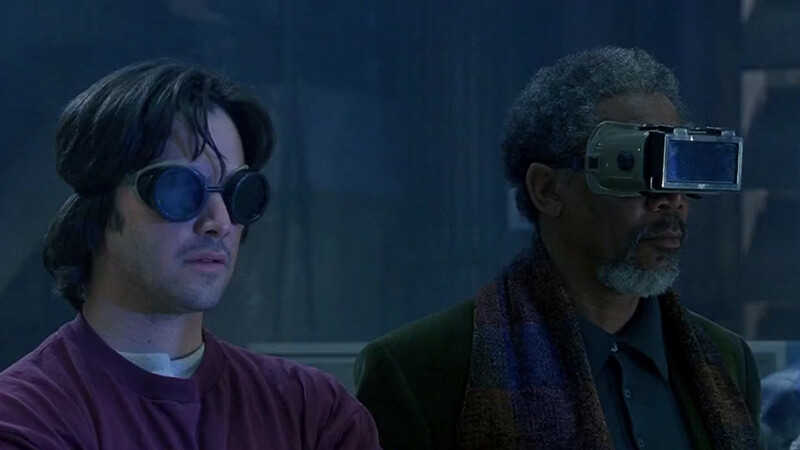 One concept which David Wilcock emphasized was that the light and gravity discussed within this episode actually had spiritual and energetic connotations to them. These concepts of photons and of gravity may actually represent the energetic states of light and love. When we think of gravity, we think of a force which brings objects together. This is what happens with love. When we are with someone we love, we want to be with them and don't prefer to be apart. 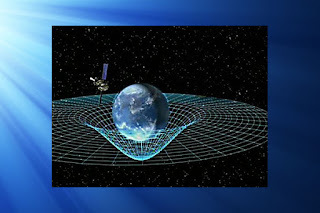 As we have discussed, gravity is the universal flow which allows matter to exist and brings them together. This flow may even mean the inevitable unification of all things. As the universe progresses, it expands, but eventually, it will reunify and become one. The concept of light is similar in significance, but we will get to those specifics in a moment. 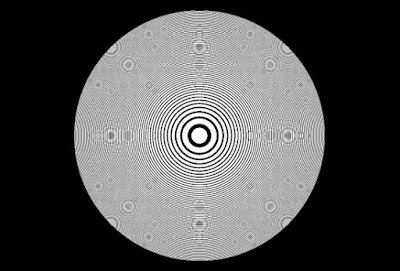 David Wilcock points out that with regard to this flow of spacetime/gravity into the center of mass of every singularity, that this inflow and photonic outflow is exactly what is happening inside of the pyramid. 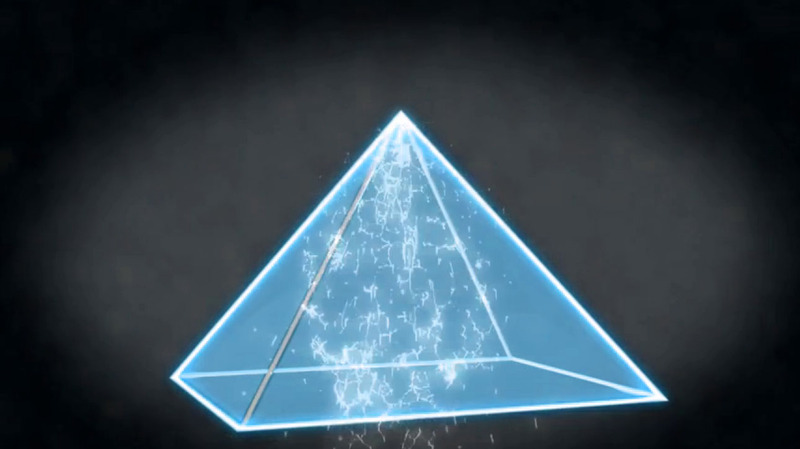 As gravity flows into the pyramid, it forms and sustains a spacetime vortex. As the vortex accelerates, it compresses and emits photons. (This vortex is the torsion field.) This happens consistently and because photons and gravity can be equated to light and love, this mean that living organisms may thrive in the presence of pyramids. These concepts are consistently discussed within the Law of One text. To add, it could be that the longer we spend around a pyramid, the more we are exposed to higher-dimensional photons. This in tern causes our bodies to absorb greater and greater amounts of photons and as they do, we gradually become more and more compatible with higher planes of existence. This is also discussed in the Law of One text. Another point to consider is the possibilities which lie within the concept of sonoluminescence. As stated, this process is over-unity to the extreme. Quite literally, it involves tapping into a higher dimensional source for untold of amounts of energy. This energy source represents the ability to create flying saucer technology and spacecraft which need no fuel to operate. All they need is to sustain one simple and continuous sound frequency, and they have the power of a star as their source of energy. These craft would likely include the Biefeld-Brown effect technology of using a negative to positive toroidal field to overcome the forces of planetary gravity. These levels of energy may even be able to traverse time as well as vast distances in space. To add, if these technologies have been known for this amount of time, it is very likely that they have been in use for just as long by humans (and even longer by E.T.s). With these possibilities in mind, we may realize that we may have just proven the likelihood that E.T.s are visiting us, that time travel is possible, and that wormhole technology is not that difficult to accomplish. With these concepts in mind, one very interesting thought came to mind. 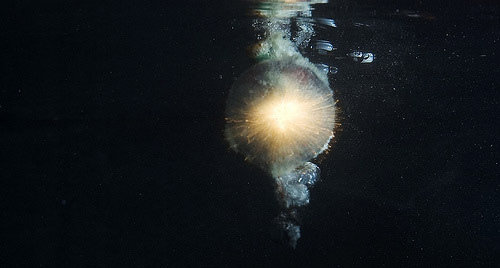 If we think of the concept of sonoluminescence, we have a luminescent bubble which is expanding and contracting so fast that it cannot easily be determined to be moving at all. If we see this bubble undergoing this reaction due to sound frequency, and we also realize that everything in the universe is likely behaving in the same way. It may be that the universe itself is doing the same thing. 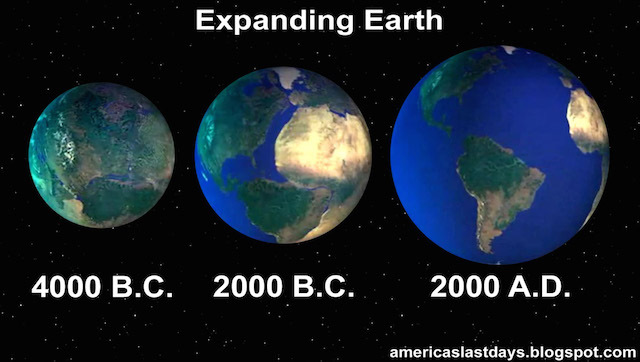 It may even be that the “big bang” or the rapid expansion which is said to have occurred at one central point, and then expanded outward is simply one of these countless contractions/expansion cycles. We may consider the actions we are taking now, the thoughts we think, and the choices way make and consider the possibility that we have all done this before. We may have experienced this or something similar. These instances may be happening so quickly that they represent the same instance of time, and that any moment, we may experience any variety of these experiences we wish. This is simply a thought that I had. However, it does present a tremendous possibility for the true nature of the reality we believe ourselves to know. As mentioned, there are a lot of implications within the reality of pyramid technology. Where conventional science has yielded only further complexity and confusion, this theory of fluid spacetime has come together with such simplicity and such consistency that it is difficult not to pay attention. Information such as this lets us know just how much more we have to learn and to discover when Full Disclosure is finally initiated. At that point, all of these possibilities may no longer be simple “possibility.” These extraordinary possibilities may be a commonality for all of us to enjoy.